Today’s Massive give away is a free theme website PSD!! Yes it might look familiar because its the the design of my new website your currently looking at. Why you ask? We’ll this site is all about free PSD’s so it just makes sense to give away from own website PSD! Download and enjoy! See more screen grabs below. 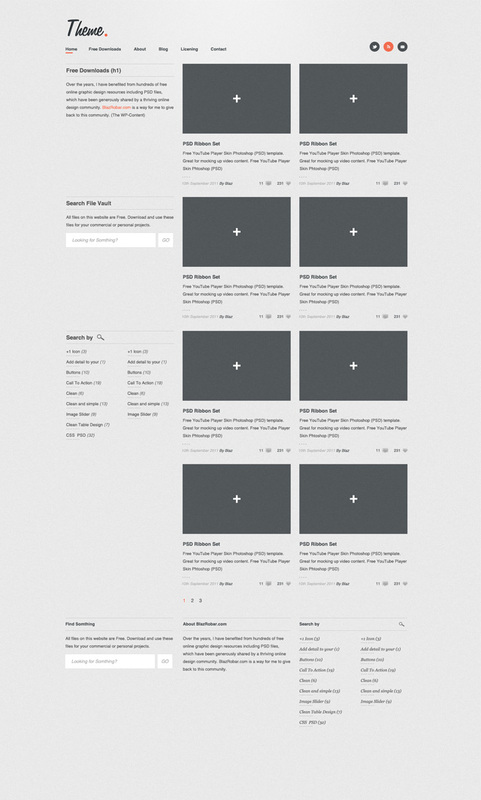 Today’s awesome free psd template is – Flux – Minimal Blog Design PSD Template. I had put this design together late last year and recently came across it again, and thought it would be a wonderful addition to BlazRobar.com. Love when that happens!